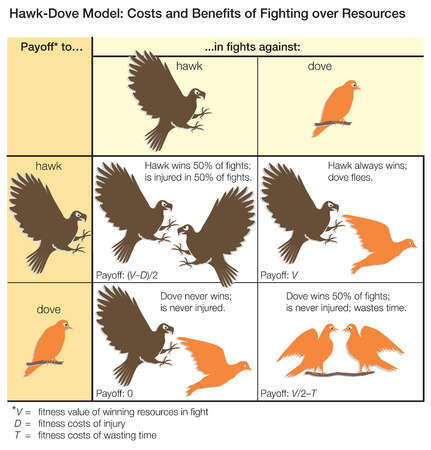 Animals have clear set survival strategies. They don’t make mistakes or try the martingale like humans are wont to do. Based on their programmed strategy they invariably stick to the course that is most highly probable to result in survival and reproduction according to the house odds experienced by the previous generation. They are truly survival machines that operate with industrial grade efficiency. In many territorial disputes in the wild, the intruder will almost always back down. However great the defender’s disadvantage, they have nothing to lose and will fight to the death. The stronger intruder will win, but at a net loss. Unlike a typical spiteful and neurotic human, the strong intruder in the animal kingdom backs down. Humans then, are clearly survival machines removed from their original circumstances. Truly, our congruency with the ‘natural state’ is equal to the degree which our behaviors are biologically rational.